This evening will be a night to remember in Torrevieja and Orihuela Costa as hundreds of people line the streets of the town to welcome their Majesties, the Kings of the Orient, Caspar, Melchior and Balthasar. In Orihuela Costa the Three Kings and their entourage will throw sweets and toys into the crowds as the colourful parade makes its way to Zenia Boulevard commercial centre. Leaving the Town Hall in Playa Flamenca at 5 pm, the Kings will parade along calle Pablo Picasso and calle Nicolás de Bussi street towards Zenia Boulevard, where they will share some time with the children. 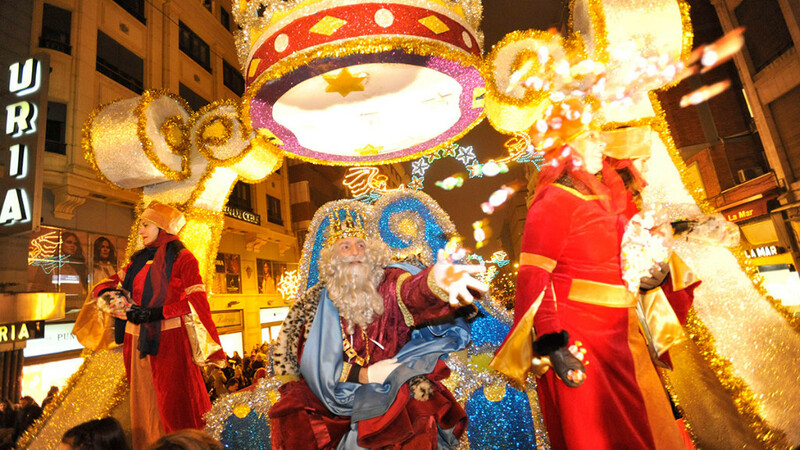 As in previous years, Torrevieja's three Kings will arrive by boat at the Torrevieja's port at around 5 pm. The colourful parade will consist of floats, local bands, horsemen, exotic belly dancers, Disney characters and different animals. They will then head towards calle Ramón y Cajal, Zoa up to calle Ramón Gallud, where the parade will end in the main church square. After the parade, the children in both towns will surely head home with their parents to feast on the sweets, deserts and the traditional, round, Spanish Christmas cake, Roscón de Reyes. Happy Three Wise Men Day everyone!